This Monday see's dl* returning to a galaxy far far away, so dust of those lightsabers, polish those blasters and get ready to crown a new king of aim. Is this on the same server as our original one? No its the Red Eclipse now (we were originally on Tomb of Freedon Nadd). There's a sticky thread in mmo forum (edit: thread is HERE) with details of how to get there free if you are interested. Be aware that the level cap had gone up by ten since release so most of the good content is at level sixty now. Who are you and what have you done with O8? 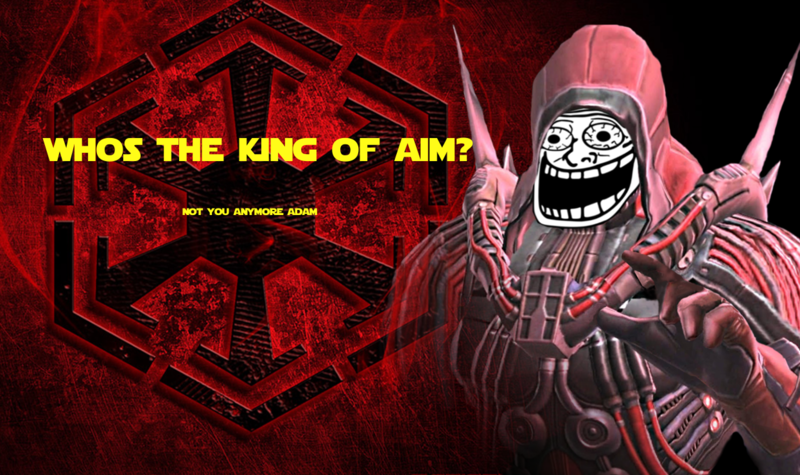 The Original King of Aim has sadly faded into the ether, story goes he was so embarrassed at losing his prestigious title he spontaneously combusted. Personally, I think he took a dive into the Sarlacc pit at the thought of the shame he would bring upon his bloodline. I've seen storm troopers with more Aim. Lovely first night, thank you all! We knocked over 3 of the 6 end game Hard Mode Flashpoints (bonus bosses included), picked up a couple of guild stronghold decorations and a few item upgrades for people. More importantly i think we showed that we have some people who are ready and capable for Operations. I have also taken it upon myself to hand out an award, a small bit of fun and a nod to a job well done, check the SWTOR thread for details. I may do more in the future, but be warned, they wont always be awards for good things! 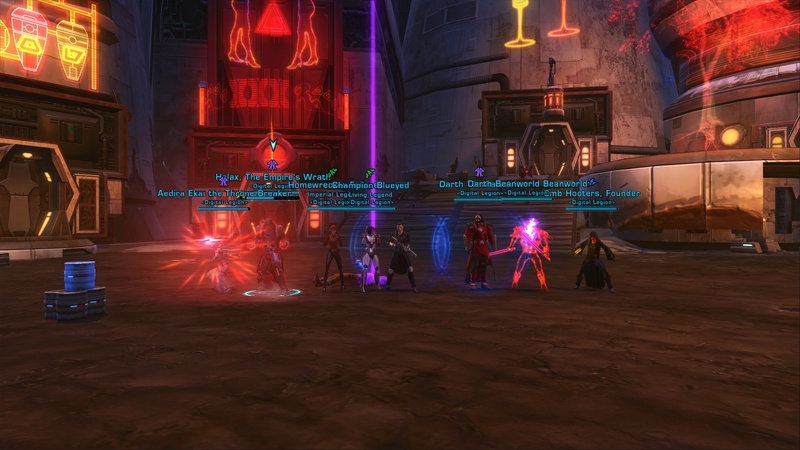 Another run this coming Monday, post here or in the SWTOR thread if you are interested or need some guidance on how to get involved. 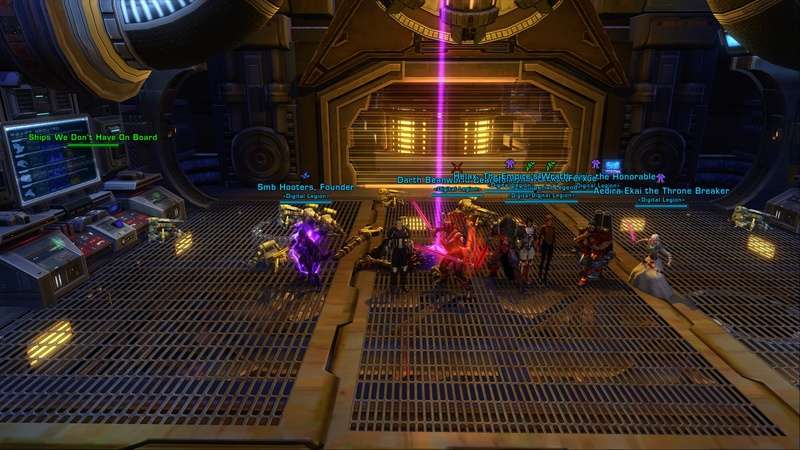 Some additional award for a solid contribution have gone out as a result of this weeks operations, check the SWTOR thread for details. 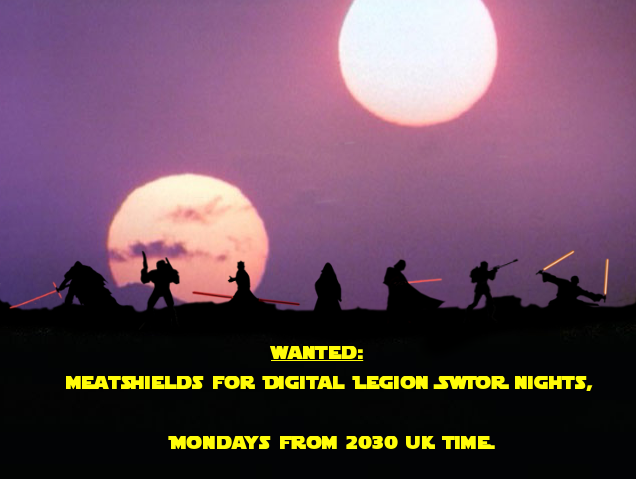 SWTOR night will return, Monday 2030, let me know on the linked thread or via PM if you are interested in turning up! Reminder to all! 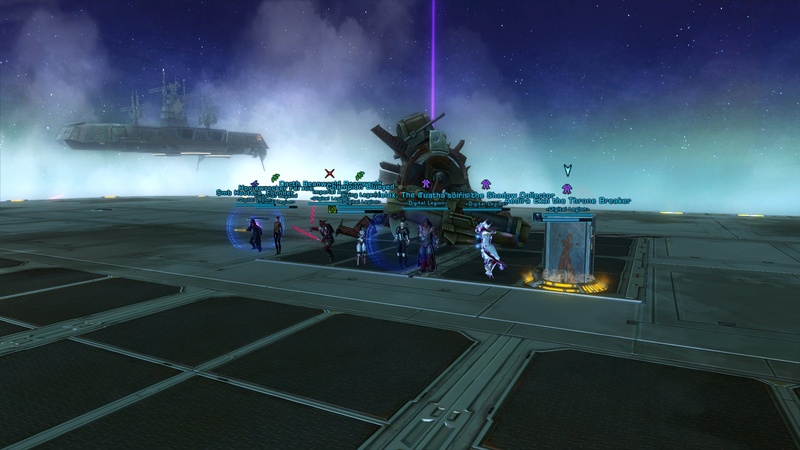 Another SWTOR night starts at 2030 UT time, Monday night. If we have numbers we will take another swing at the ops bosses available to us. We also came pretty close to finishing off the final boss, but alas, it was a step too far. Thank you all, another post will follow tomorrow with some additional bits of interest. Otherwise - same time (Monday 2030 UK) next week, bring more guns, more rockets and maybe a stim or two! 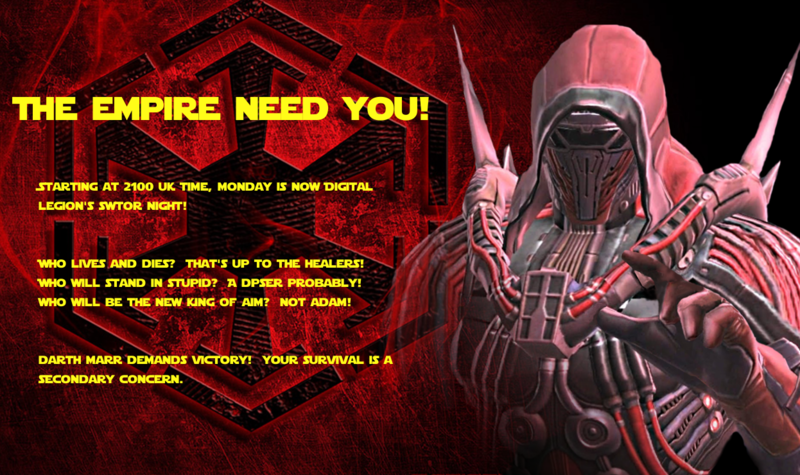 Reminder to all, SWTOR night starts Monday, 2030 UK time.